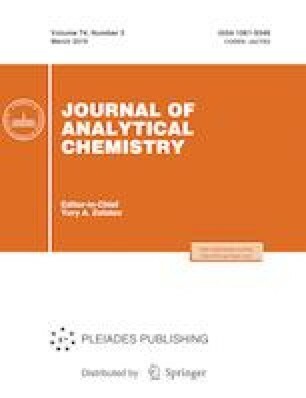 The basic regularities of an acid retardation method for the chromatographic separation of mixtures in concentrated acidic solutions and its new versions, which are convenient for use in technology and chemical analysis, developed by the authors are described. The results of studies on the application of a new approach to the separation of electrolyte mixtures with the use of columns in which an anion exchanger bed was filled with an organic liquid immiscible with water and aqueous solutions are presented. With the use of the separation of the components of model mixtures containing nitric acid and its salts, the natural solutions of the acid decomposition of bone tissue, and soil on the AV-17 anion exchanger in nitrate form as examples, it is demonstrated that the approach proposed is promising for sample preparation in chemical analysis, in particular, for effectively reducing the acidity of solutions after the digestion of difficult-to-decompose samples. The reproducibility of the results obtained using this approach was evaluated by analyzing the elution curves of the sorption–desorption of the macrocomponents of bone mineralization solution in repeated experiments. We are grateful to Cand. Sci. (Chem.) O.A. Tyutyunnik, a senior researcher of the Laboratory of Geochemistry and Analytical Chemistry of Noble Metals at the Vernadsky Institute of Geochemistry and Analytical Chemistry, Russian Academy of Sciences, for her assistance in performing analyses by electrothermal atomic absorption spectrometry and inductively coupled plasma atomic emission spectrometry.